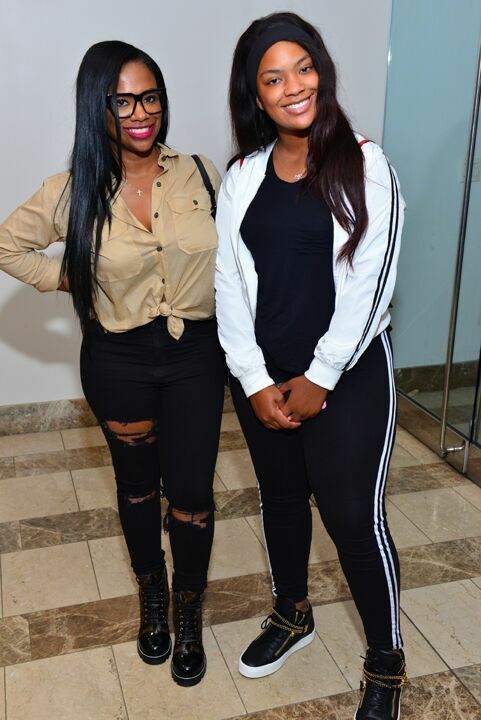 The cast was in attendance along with their famous parents Jermaine Dupri, Toya Wright, Tiny Harris, Debra Antney and DJ Hurricane. Additional VIPs included Da Brat, Waka Flocka Flame,Datari Turner (producer, "Growing Up Hip Hop Atlanta"); "Love & Hip Hop: Atlanta" stars Tammy Rivera, Tommie Lee, Karlie Redd, Bambi, Karen King, Melissa Scott and Erica Dixon; Kandi Burruss and daughter Riley ("Real Housewives of Atlanta"); Mama June and daughter Alana "Honey Boo Boo" Thompson ("From Not to Hot"); Trina Braxton ("Braxton Family Values"); Gocha Hawkins ("LA Hair"); Genise Shelton ("Married to Medicine"); Stevie Baggs, Jr ("Match Made In Heaven"), Shanell (Young Money artist), Princess (formerly of Crime Mob) and many more. After opening remarks from Lauren Gellert, EVP of programming at WE tv, and Marc Juris, president at WE tv, guests were treated to a sneak peak of the upcoming "Growing Up Hip Hop" season 3, which was introduced by cast member Kristinia DeBarge. Then Bow Wow, who is an executive producer on "Growing Up Hip Hop Atlanta," intro'd the screening, which was following by a lively cast Q&A moderated by radio/tv personality Ebony Steele. Last night, WE tv hosted a star-studded Atlanta premiere of its new series, “Growing Up Hip Hop Atlanta.” Hundreds convened at Woodruff Arts Center to preview the much-buzzed-about ATL edition of the hit franchise, which stars Bow Wow, Shaniah Mauldin (daughter of Jermaine Dupri), Reginae Carter (daughter of Lil Wayne and Toya Wright), Zonnique Pullins(daughter of T.I. & Tiny), Brandon Barnes (son of Debra Antney and brother to Waka Flocka) and Ayana Fite (daughter of DJ Hurricane). The cast was in attendance along with their famous parents Jermaine Dupri, Toya Wright, Tiny Harris, Debra Antney and DJ Hurricane. Additional VIPs included Da Brat, Waka Flocka Flame,Datari Turner (producer, “Growing Up Hip Hop Atlanta”); “Love & Hip Hop: Atlanta” stars Tammy Rivera, Tommie Lee, Karlie Redd, Bambi, Karen King, Melissa Scott and Erica Dixon; Kandi Burruss and daughter Riley (“Real Housewives of Atlanta”); Mama June and daughter Alana “Honey Boo Boo” Thompson (“From Not to Hot”); Trina Braxton (“Braxton Family Values”); Gocha Hawkins (“LA Hair”); Genise Shelton (“Married to Medicine”); Stevie Baggs, Jr (“Match Made In Heaven”), Shanell (Young Money artist), Princess (formerly of Crime Mob) and many more. After opening remarks from Lauren Gellert, EVP of programming at WE tv, and Marc Juris, president at WE tv, guests were treated to a sneak peak of the upcoming “Growing Up Hip Hop” season 3, which was introduced by cast member Kristinia DeBarge. Then Bow Wow, who is an executive producer on “Growing Up Hip Hop Atlanta,” intro’d the screening, which was following by a lively cast Q&A moderated by radio/tv personality Ebony Steele. After the screening, guests headed over to Opium, where DJ Infamous kept the energy high well into the morning. 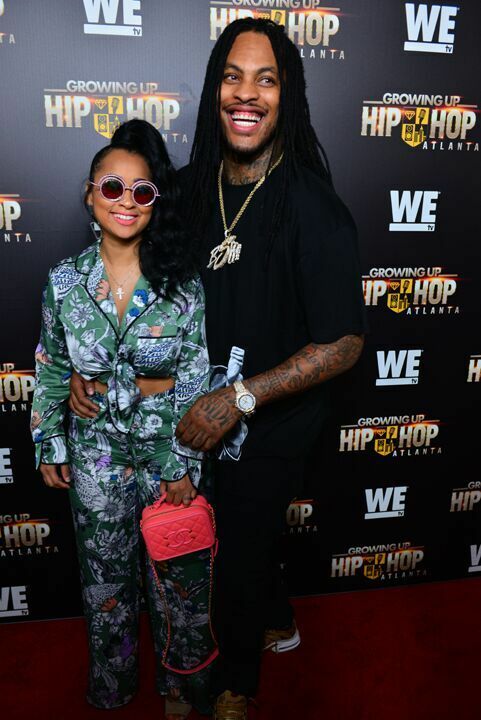 “Growing Up Hip Hop Atlanta” premieres Thursday at 10/9c on WE tv. Follow @GUHH_WEtv and @WEtv on social using hashtag #GUHHATL.